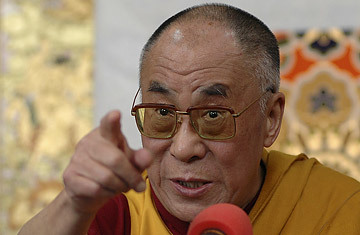 His Holiness the Dalai Lama calls Sogyal Rinpoche “disgraced” and stresses that nobody should follow the teachings of any lama without question – not even from himself – stressing that they must live up to the teachings of Buddha and what society expects. He also reiterates his advice from 1993 that lamas who behave badly should be exposed in the media. Recorded at the inauguration of the seminar “Buddhism in Ladakh” @ Central Institute of Buddhist Studies (CIBS) in Leh, Ladakh, India on 1st August 2017. “I feel some of these lama institutions have some sort of influence of the feudal system. That is outdated and must end – that feudal influence. Then eventually a lama institution creates lama politics [DL laughs heartily]. That’s very bad.